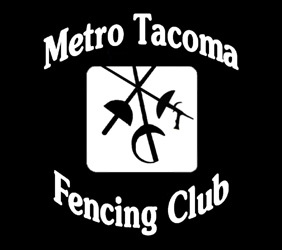 I am a volunteer fencing coach at the Metro Tacoma Fencing Club in Lakewood, Washington. This website provides some information about my background for my students and their parents as well as some links to some useful fencing resources and some links about me. 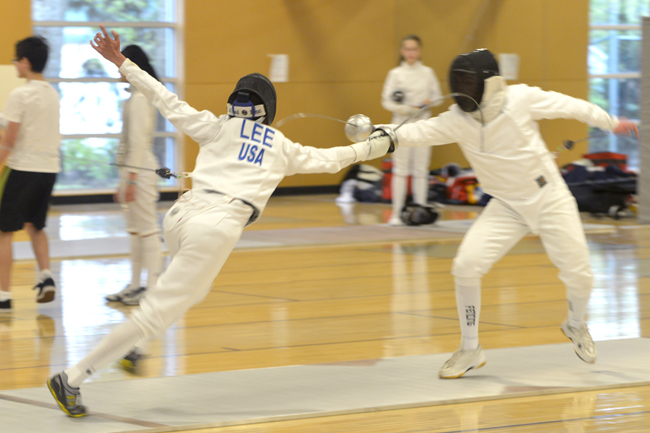 I began fencing while attending Lakeside High School in 1986. I was a member of the Harvard varsity épée team coached by international fencing master Branimir Zivkovic. After college I was busy with medical school and my medical training so did not fence for 14 years. 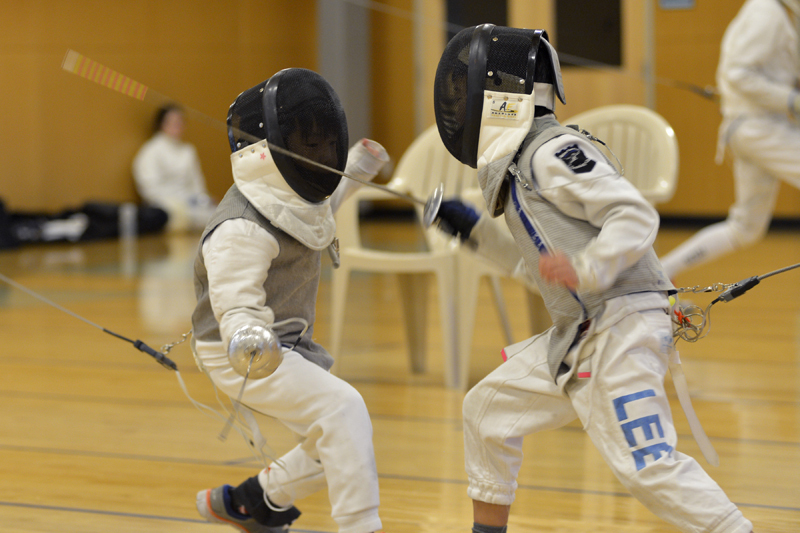 When my two oldest boys were old enough to start fencing I began competing again (and in some weapons like foil and sabre I began competing for the first time ever). I have enjoyed spending my time as one of the coaches for the Youth Program Metro Tacoma Fencing Club since 2008. I earned my professional fencing coaches' certification from the US Fencing Coaches Association in 2011. I am a Prévôt de Fleuret (foil) having passed the rigorous written, practical, and oral examination. 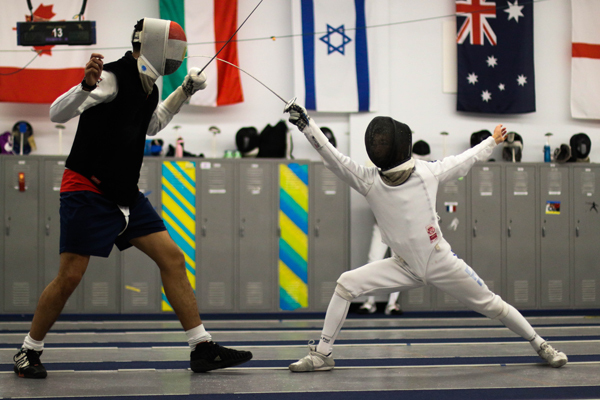 According to the US Fencing Coaches Association website, "The Prévôt level of fencing coach is similar to the Master level professional fencing coach with more emphasis on training fencers rather than other coaches. The Prévôt has proficiency with a variety of teaching methods so that they can train fencers of all levels to compete. They may also train fencers to become Assistants or Moniteurs." While I would enjoy having my own group of private fencing students taking individual lessons from me, my job as a physician makes it impossible since my schedule is so unpredictable. I simply do not know when I can be at the club next. And kids need a regular routine if they want to be successful with their fencing. As a result, I only coach my own children individually. However, if there is anything I can do to help you connect with one of the other coaches for private lessons at our club, please let me know. I am among the 2% of US Fencing Association members having held a three weapon rating. I currently have a weapons rating of A2019 in épée and B2019 in foil. My E2009 sabre rating has lapsed. 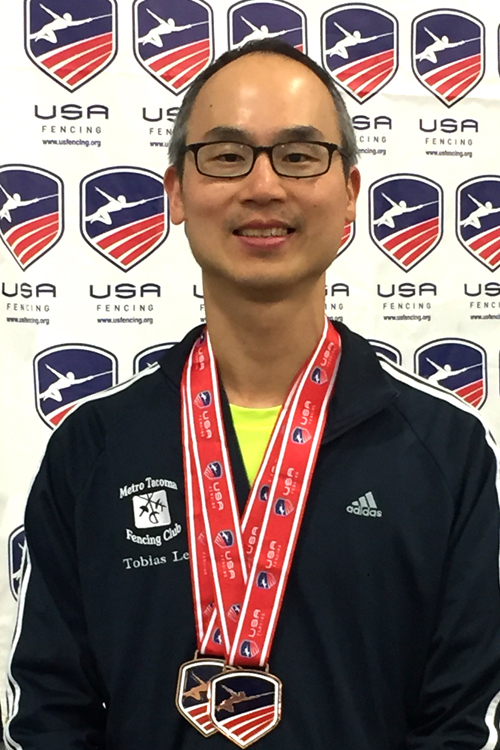 I have medaled at North American Cup (NAC) national events for veteran (ages 40 years old and above) épée multiple times. 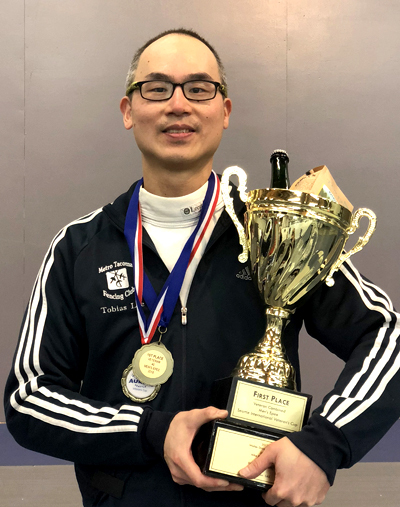 I was ranked 3rd in the United States in veteran 40 (ages 40-49 years old) men's épée from 2017-2019. 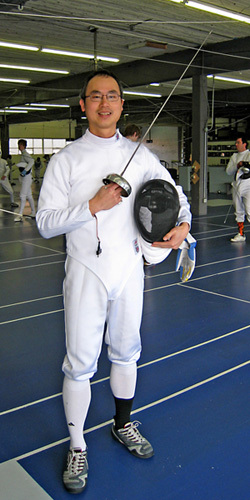 I also am a rated referee in foil (rating of 6 in 2012) and épée (rating of 7 in 2012). 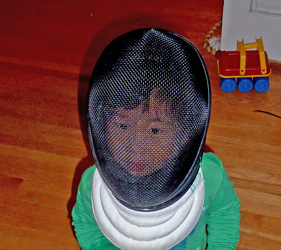 My proudest achievement in fencing is seeing the success of my sons. My two oldest sons have been consistently ranked nationally since 2012, and both have competed internationally representing the United States. 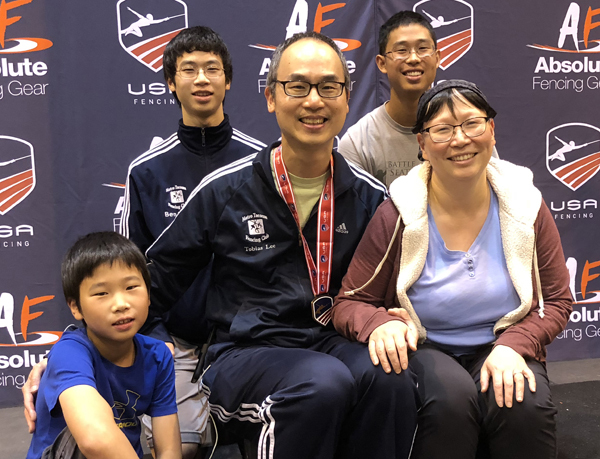 My youngest son started to compete at a national level in 2017 and earned national points in both foil and épée in 2018. Recommended reading: Fencing: A Practical Guide for Training Young Athletes by Rob Handelman and Connie Louie which is a sabre-oriented text but outstanding as an overall resource for youth competitive fencing. They have also put together a version for foil. Unfortunately they are unlikely to write an épée textbook. The Care and Feeding of All Things Fencing by Michael Mergens will help with all aspects of fencing equipment troubleshooting and repair. This resource can help you put together your own weapon. I am also a practicing interventional cardiologist in Pierce County, Washington. Some links are found below. 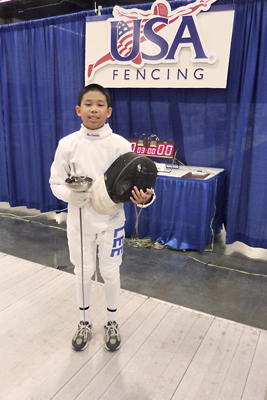 Christopher fencing at Rain City Fencing Center. 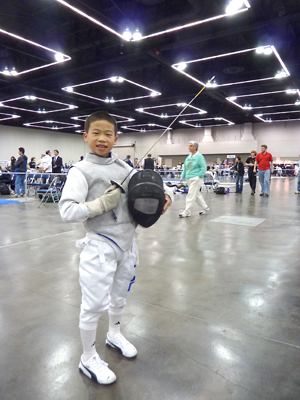 Andrew fencing at the Rain City Super Youth Tournament, Bellevue, WA, 2014. 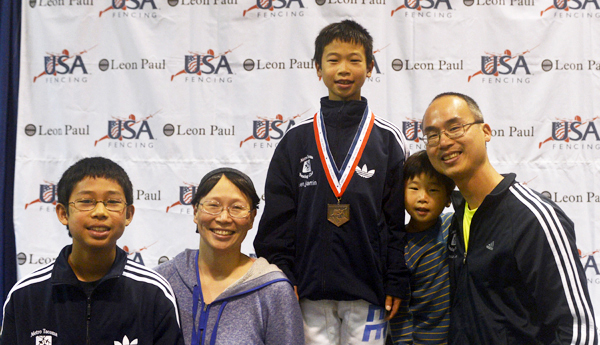 My family at the July 2012 North American Cup Tournament in Anaheim, CA. Youngest son Christopher getting ready to practice in September 2011. Andrew and Benjamin competing at the North American Cup in April 2011.